Safetyrite are well established providers of Manual Handling training courses in the UK, and offers crucial health and safety training for all organisations. Manual Handling is one of the most common causes of injury at work and causes over a third of all workplace injuries which include work related Musculoskeletal Disorders (MSDs) such as upper and lower limb pain/disorders, joint and repetitive strain injuries. We have developed a course that is suitable for most organisations but can of course be tailored to suit, including a practical delegate element if required. Manual Handling is the movement or support of a load using physical effort - including lifting, putting down, pushing, pulling, carrying and moving.Manual Handling operations are performed in every workplace. 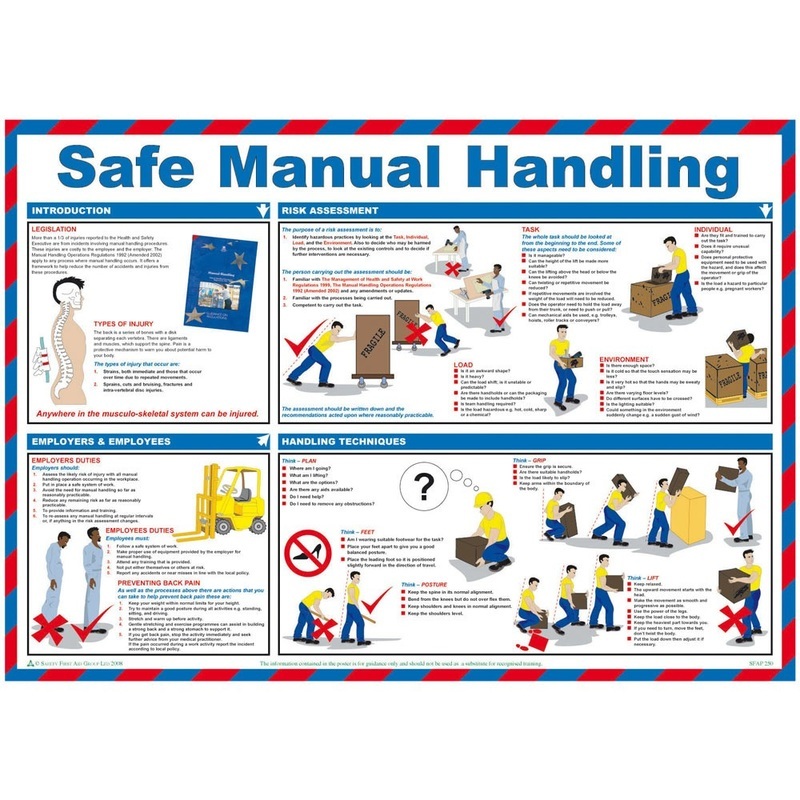 It is important that everyone who is exposed to manual handling hazards is aware of the risks and, when manual handling tasks cannot be avoided, what measures must be taken to access and control such risks.